The publishing history of William Wordsworth's writings is complex and often obscure. 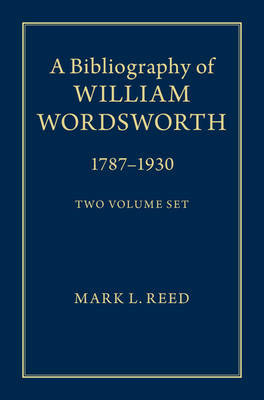 These two volumes set out, for the first time, a comprehensive, detailed bibliographic description of every edition of Wordsworth's writings up to 1930. The great variety of forms in which readers encountered both authorized and unauthorized texts by Wordsworth is revealed, not only as produced during his lifetime but also during the years of his largest sales, popularity and influence, the late nineteenth and early twentieth centuries. The bibliography provides new information about hundreds of printings and their internal and external designs, processes of production, sales, contents and variant texts and illustrations. More than a record of the transmission and reception of Wordsworth and his writings, it offers invaluable new data for the study of British publishing history and the reception and readership of British Romantic literature.